The Maine Philanthropy Center will sponsor a conference on Tuesday, May 21 called: “What Will the Future of Cross-Sector Collaboration Look Like?” The idea is to get businesses, non-profit organizations and governmental entities working together to “advance the common good.” The keynote speaker is Dan Cardinali, president and CEO of Independent Sector, a national organization that brings non-profits, foundations and corporations together in this way. The event will be held at the University of Southern Maine’s Hannaford Hall, in the Abromson Center. 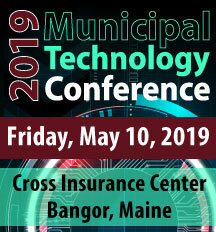 The organization Build Maine has released program details for its 2019 Conference, to be held June 5-6 in Lewiston. Much of this year’s event will explore the connection between municipal budgets, urban design and creating vibrant communities for residents of all ages. 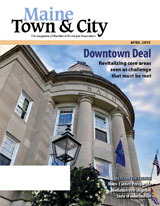 The Muskie School of Public Service, graduate program in Policy Planning and Management, in conjunction with the Maine Town, City and County Managers Association, has announced a new model to prepare students for careers in town, city and county positions. It combines a guided internship with a rigorous academic component, an on-line graduate course (Managing Cities, Towns and Counties), with relevant readings specific to Maine local and county law, and more general readings. Students will be paid by the Maine Economic Improvement Fund for 150 hours at $15 per hour. The state Department of Environmental Protection is inviting proposals for public infrastructure improvement projects on municipal roads involving culvert upgrades of stream crossings to improve public safety, minimize impacts to water quality and improve habitat for fish and wildlife. Beginning April 9, municipalities and other eligible recipients may apply for grant monies for improvements to public infrastructure. The deadline for submitting applications is Monday, June 3. On March 27, 2019, Governor Mills signed into law LD 630, emergency legislation intended to allow the production and sale of food additives and food products containing hemp-derived cannabidiol (CBD) in Maine. The Maine Municipal Association Legal Services Department has updated its Marijuana Statutes Cheat Sheet to reflect the current status of the state’s hemp laws. You can find an updated copy here. Local Food Sovereignty continues to be an issue of great interest across the state. MMA Legal Services is making a sample ordinance available to members to help them comply with restrictions state law places on these ordinances. It is important to be sure to adopt an ordinance that complies with current state statutes. Our sample ordinance, provided in cooperation with Attorney Sally Daggett at the law firm of Jensen Baird Gardner & Henry, does so. The Maine Department of Environmental Protection is accepting applications for the Small Community Grant Program that helps with malfunctioning septic systems that directly or indirectly discharge into water bodies, or cause public health problems. The first step of the application process must be completed by April 19, 2019. 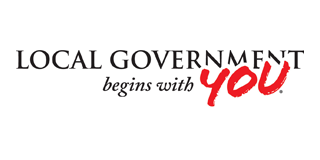 The Knox County Emergency Management Agency in Rockland will host a workshop on Thursday, May 23 called, “Introduction to Continuity of Government Planning for Rural Jurisdictions.” The eight-hour course will help local officials and emergency responders develop continuity plans in the event of a disaster or other emergency. Seating is limited; pre-registration is required. The workshop is free and food will be provided. The state Office of the Maine Treasurer on Wednesday published a spreadsheet, as it does annually, showing projected state/municipal revenue sharing distributions for each municipality. The Maine Municipal Association is warning members to view the numbers with caution. The Treasurer’s numbers reflect what is in current Maine statutes (pushing revenue sharing back up to 5 percent of state sales and income tax collections) but not what is proposed in Gov. Janet Mills’ FY 2020 – FY 2021 budget, which would distribute 2.5 percent in the first year of the budget and 3 percent in the second year. Until the state budget is adopted, it is unknown how much revenue will be distributed to municipalities.